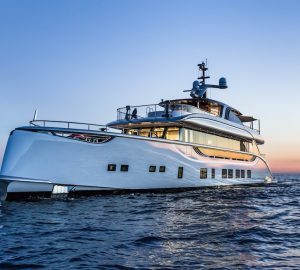 The 39m/127ft TRULY CLASSIC 127 SUPERYACHT was built by Claasen Shipyards in 2015 and constructed with an aluminium hull and superstructure for excellent performance and stability. 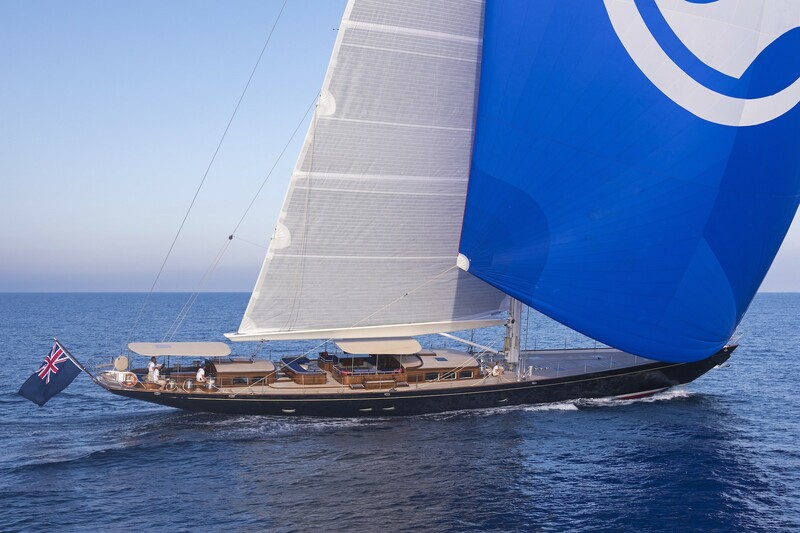 The sloop-rigged vessel features the naval architecture of Hoek Design Naval Architects B.V. with interiors from British designer Hamilton Weston. 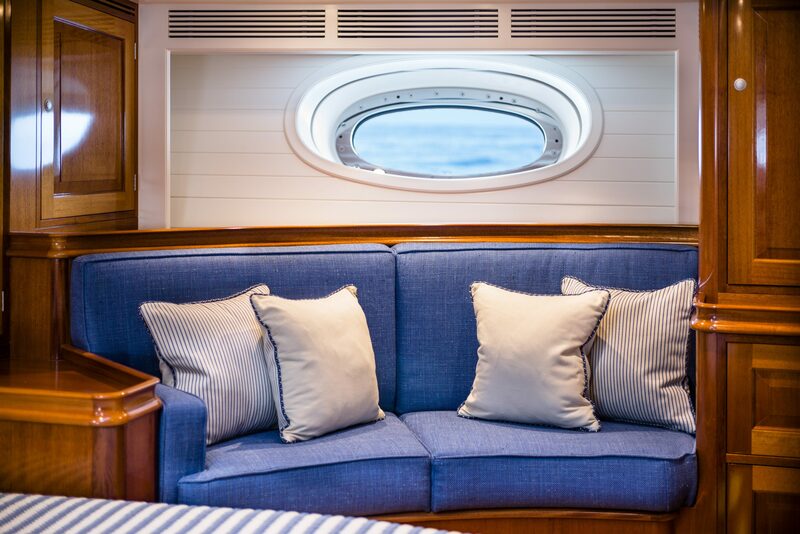 The accommodation sleeps up to six guests over three timeless cabins, with a crew of four to ensure that everything runs smoothly throughout the cruise. 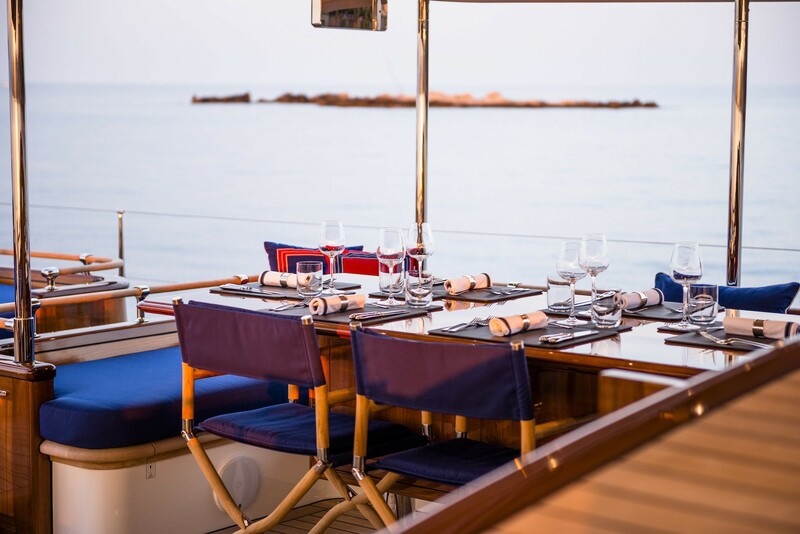 Above deck, the exterior provides guests with an abundance of outdoor lounging and alfresco dining space with a padded sofa curving around a raised table and the same setting but with a lower table placed opposite. 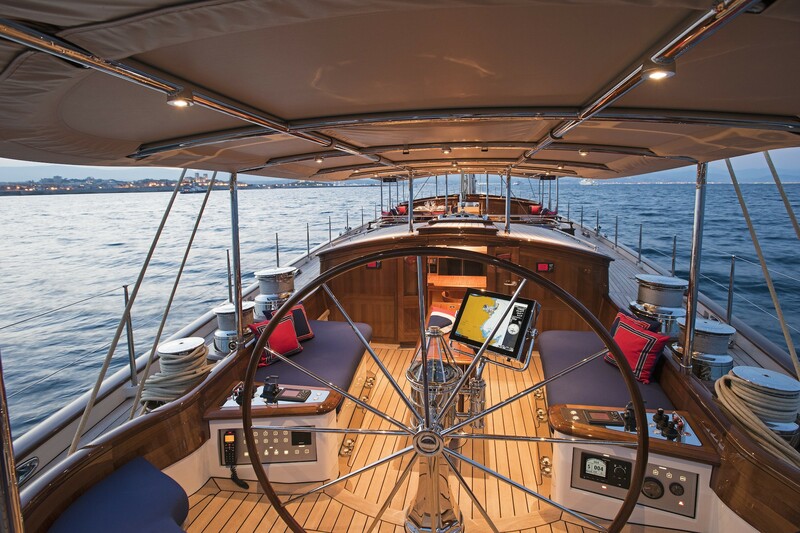 The cockpit can be shaded by a canvas for an all-day outdoor living, and farther aft a broad spread of sofa/sun pads with two small drinks tables. 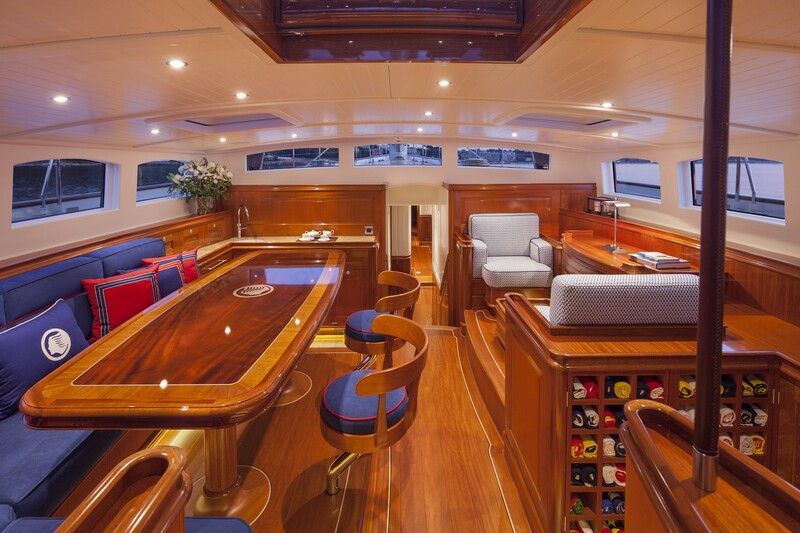 The master suite cockpit to the stern hosts the helm station and provides additional seating with a drinks table for guests. 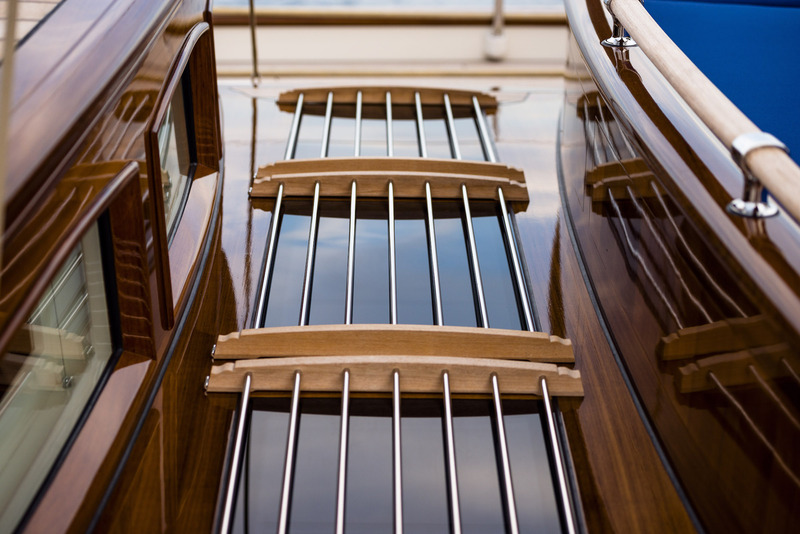 The foredeck is used to store the tender and while at anchor, the forward space can be cleared and used for observation or exercise such as yoga and Pilates. 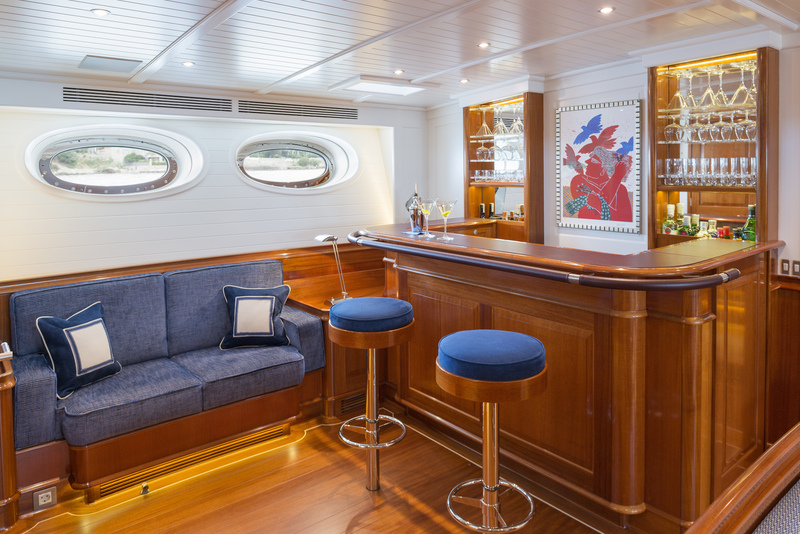 The lower deck places the Master suite in the stern with a sofa included in the light interior as well as an en-suite bathroom and direct access to the upper aft lounge. 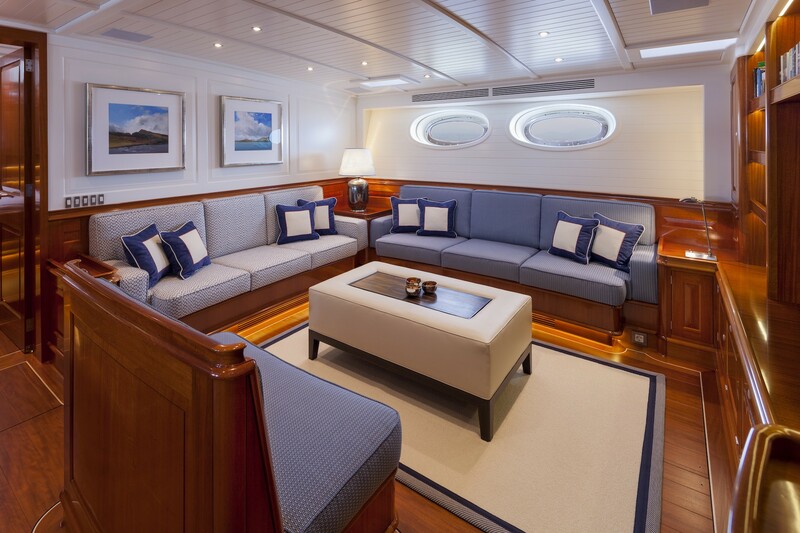 Forward, the lower section of the main salon creates a comfortable lounge with plush sofas and a coffee table on the port side, while to starboard there is a desk. Above, the cosy deck house exudes an intimate atmosphere for guests to enjoy a meal at the formal dining table or unwind with reading material in the opposite nook while watching the scenery through the windows. 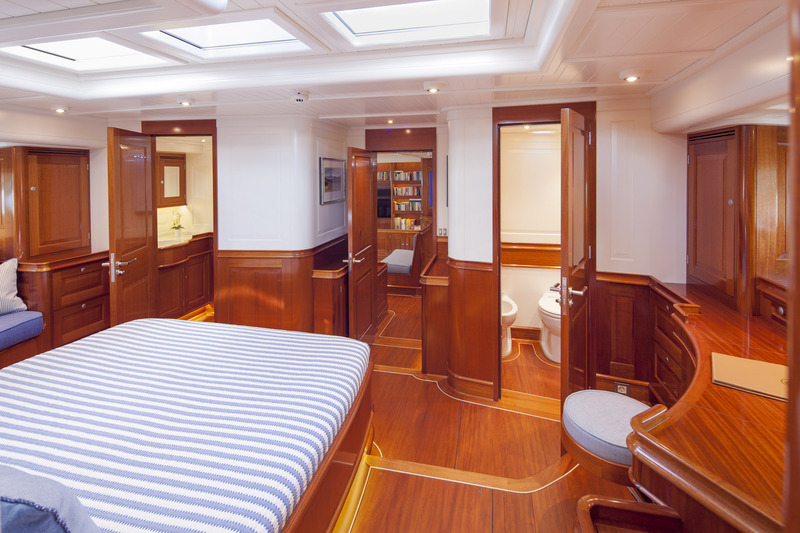 Forward, a set of stairs leads back down to the lower deck, where the section contains the VIP stateroom and the twin guest cabin, both of which have en-suite facilities. 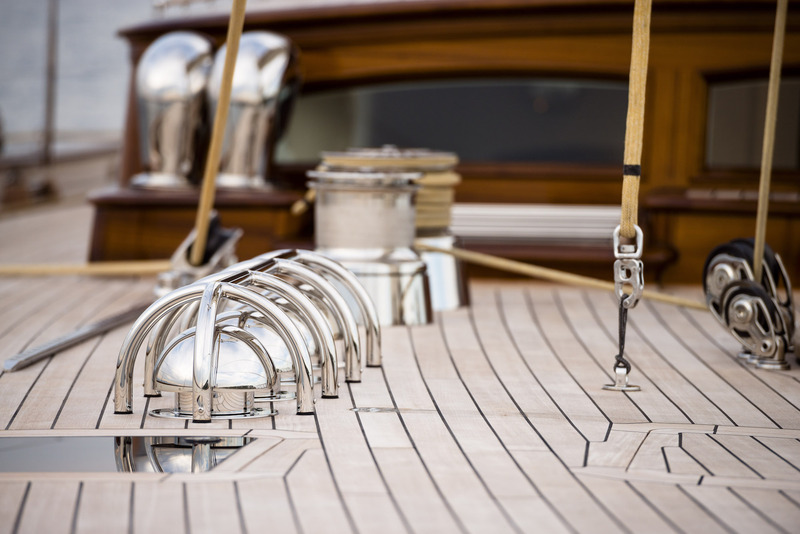 The crew accommodation and galley are located in the bow. 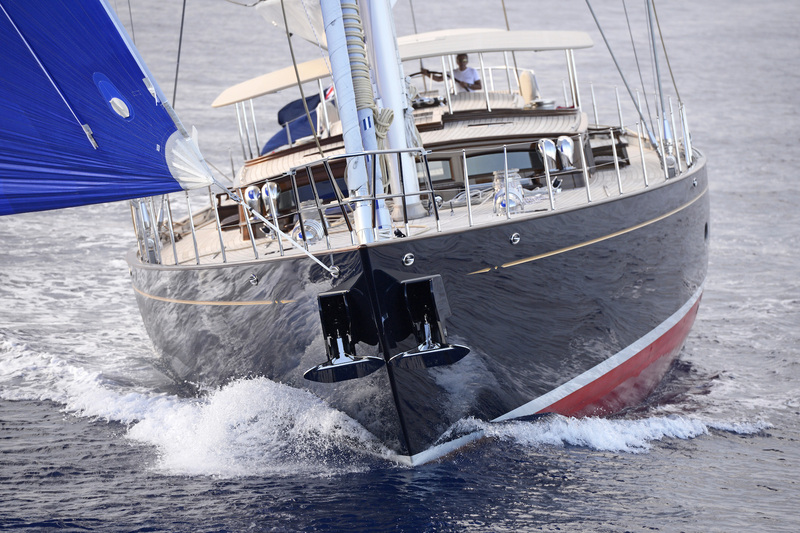 A pair of Scania engines produces a cruising speed of 10.5 knots when winds are light. The accommodation sleeps a maximum of 6 guests over 3 lavish en-suite cabins: 1 Master suite, 1 double cabin and 1 twin cabin. 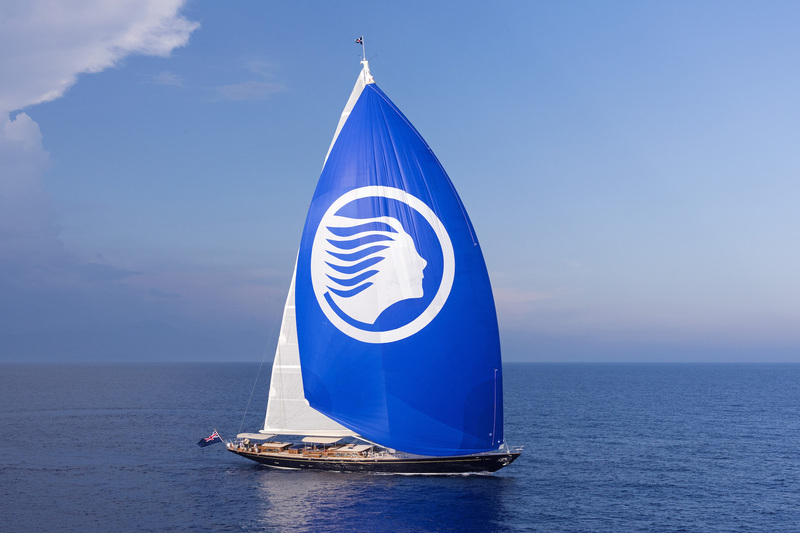 The crew of 4 will provide everything guests require for a first-class cruise. 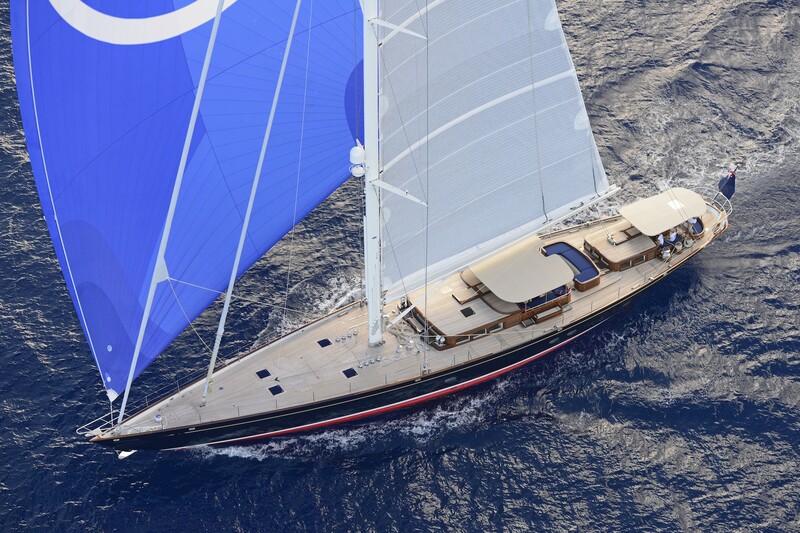 We do have available further amenity, owner and price information for the 38.70m (127') yacht 39M TRULY CLASSIC 127 SUPERYACHT, so please enquire for more information.